Hailed by critics as a “vibrant and expressive performer who could steal the show in every concert” (New York Times) and “energetic and lively pianist who displaces power and delicacy in nuanced sensitivity along with virtuoso technique” (The Baltimore Sun), DANIELA MINEVA’s unique approach to standard repertory, combined with the performance and dedication of works by living composers has taken her career throughout Europe, Asia, North and South America. Daniela has been the winner and finalist in numerous international and national competitions including 2007 Jean Francaix piano competition in Paris, France, 1998 Steinway International Piano Competition, the International Competition " Music and the Earth " Sofia, Bulgaria among many others. During the Piano Meeting Festival 2007 in San Danielle, Italy, she was awarded with the prize “Highest Artistic Level of Performance” for her solo recital at the festival. In collaboration with the composer Vera Ivanova, the 8th International Completion for new music, Orléans, France awarded them with the “Prix André CHEVILLION- Yvonne BONNAUD sous l’égide de la FOUNDATION DE FRANCE” for the solo piano piece “Aftertouch”, written for Daniela Mineva. Ms. Mineva maintains an active international career. She has appeared as orchestral soloist, chamber music collaborator and solo artist at some of the most prestige venues in Bulgaria, USA, China, Italy, France, Greece, Russia, Germany, and Costa Rica. A strong proponent of new music, Ms. Mineva has collaborated with many young and established composers as well as collaborating with new music ensembles like Speculum Musica, New York, NY; Earplay, San Francisco, CA; OSSIA, Eastman School of Music, and Twenty One, Rochester, NY. Since 2011 she has served as the president of the International Society for Pianists and Composers in the United States. Ms. Mineva has commissioned and premiered works by many young and well-established composers like Chen Yi, Bright Sheng, Frederic Rzewski Julia Wolf, Krassimir Taskov and Carlos Sanchez Gutierrez. Her first CD “Volume One” presents Daniela’s passion for the music of our time and its connection to the past masters. 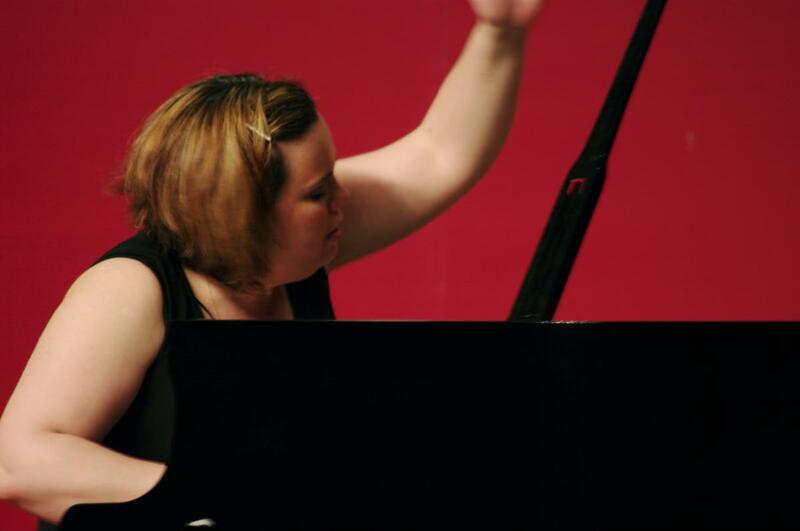 In 2013, the Society of Composers on the Capstone Records also featured her recording. Some of her performances have often been heard on WXXI 91.5, Bulgarian National Radio, TV-Chanal 1, TV-SAT, Bulgaria and Radio France Musique. As an accomplished and versatile chamber musician, Ms. Mineva has participated in many music festivals and summer programs, including Tanglewood Music Festival, Institute for Contemporary Music, New York and San Danielle Piano Meeting, Italy. Ms. Mineva’s passion for chamber music led to organizing the concert series “ HSU Chamber Music Concert Series at Morris Graves Museum”, Eureka, CA and “ New Horizons Festival” at Humboldt State University. Highlights of the season 2013- 2014 include the release of CD “ French Sonatas for violin and piano” with the violinist Bin Huang. Born in Bulgaria, Daniela began piano lessons at the age of five with her mother as her first teacher. She graduated from Sofia Music Academy with the Bachelor of Music degree and the Master of Music degree in Piano Performance and Choral Conducting. Dr. Mineva also holds the Master of Music degree in Piano Performance and the Outstanding Graduate Diploma from the University of North Texas as well as Artist Certificate from Northwestern University and Doctor of Music Arts degree, and the Performer’s Certificate from the Eastman School of Music. Her principal teachers include Natalya Antonova, Ursula Oppens, Pamela Mia Paul, Jenny Zacharieva and Julia Girginova. She has also worked closely with Emmanuel Ax, Pamela Frank, Paul Bodura-Scoda, Vladimir Tropp, Joseph Kalichstein, and Sherrill Milnes.